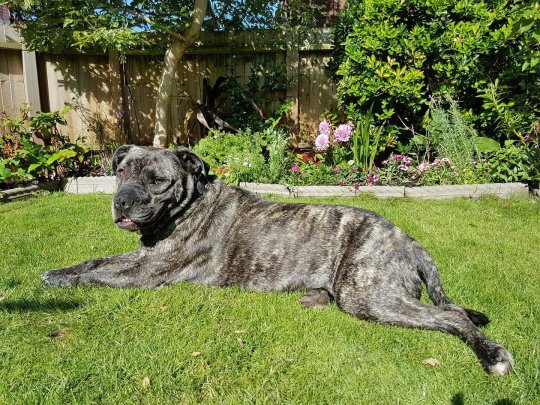 Samantha Walker, of Cardinal Close, Sunderland, was a complete stranger to dog owner Kim Suttle, 54, when she furiously accused her of beating her mastiff cross. Walker filmed the interaction and later uploaded it to a ‘vigilante’ Facebook group which aimed at exposing alleged animal abusers. She continued: ‘The allegation of dog beating was completely untrue. ‘Later the same day, Ms Suttle became aware that the allegation against her of dog beating, along with the recording of the confrontation in which she was clearly visible, had been uploaded on to a Facebook group page, apparently directed at exposing animal cruelty. ‘She has at all material times kept pet dogs and been passionate about animals and donated money to animal welfare charities. ‘She has a record of holding highly responsible jobs in the public sector. 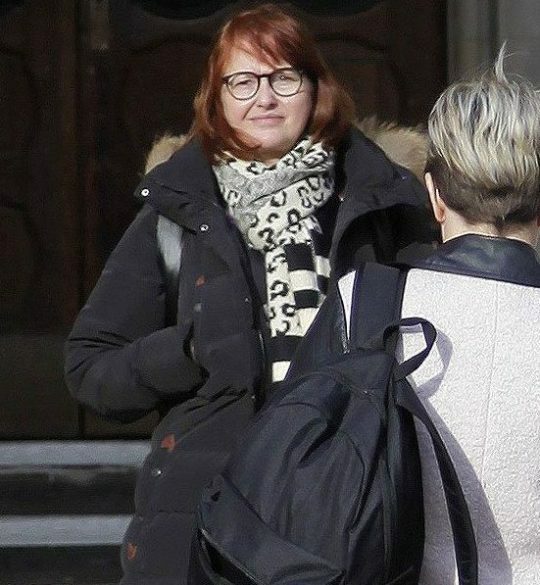 It follows that it is imperative that she is seen as having integrity and as being caring towards those in her charge.’ Walker was ordered to pay Ms Suttle £55,000 in damages and also faces a lawyers bill of around another £50,000. Describing the case as a ‘serious and nasty case of online harassment’, the judge said warned that ‘those who think the law is impotent when it comes to their online behaviour are mistaken’. He said: ‘It is usually very easy to unmask those behind such anonymous blogs and posts. They are then liable for the consequences of what they have done.’ He went one: ‘It is a sad reflection of modern life that some people are prepared to be so-called keyboard warriors, and are willing to post abusive, violent and menacing messages online in circumstances where it is to be doubted that they would ever behave like this in person. Hooray! Hopefully a warning to other keyboard warriors who think they can get away with sleighting innocent people/ organizations under the ” cloak” of being anonymous ( and pulling on the heart strings of animal lovers on line that do not know you…and are not given access to the other person’s view point as you just remove comments you dont like) …Samantha Walker I hope you enjoyed your 15 minutes of fame… At the expense of trying to ruin someone else’s life! Well done Kim for taking them on…I am sure its been a really stressful time for you! But you have set a precedent for others…And I take my hat off to you! Hear hear !! !- far too much of folk sitting behind a keyboard posting information often false- its always best to deal with FACTS . Well done this lady and hope others take note……. Excellent news. Social media can be a force for good but can cause appalling harm. Whilst I have no problem with those who are cruel to animals it is far better to raise those concerns with the appropriate authorities rather than let rip on social media. I hope Ms Suttle can now move forward with her life and enjoy her lovely dog. I also hope she goes to another hairdresser and the previous one apologises.